This domaine produces first-class wines at absurdly low prices. Brothers Jean-Yves and Pierre-André are the 6th generation of Ournacs to produce wines here. Like other growers in the area, they have progressively replanted their vineyards over the last 15 years, replacing many traditional varieties with Syrah, Chardonnay and Viognier. The vines are grown on clay-chalk soils and part of the property qualifies for the Minervois appellation where Syrah and Carignan are planted. 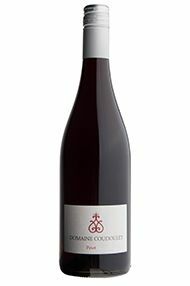 Their top red wine, the Château de Cesseras, La Livinière, is made from predominantly Syrah and has great depth, richness and class. 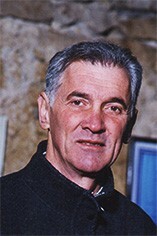 Pierre André Ournac was one of the first to realise the potential of La Livinière and makes one of its very best wines. Stylistically this is a polished example, having been partly aged in new wood, but, importantly, a wine which has not lost sight of provenance and which has a real sense of place. The aromatics of herbs and thyme and the rich palate, with its notes of scorched earth and macerated plums, all betray the warm Mediterranean backdrop, evocative of Pagnol, Matisse and a spirit of leisure. This estate is particularly renowned for the quality of its Viogniers. 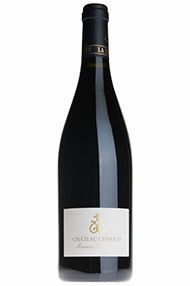 It is remarkable how well this grape which was traditionally grown in the Northern Rhône appellations of Condrieu and Château Grillet, adapts to the warmer growing conditions of the Languedoc, producing wines of immense charm and finesse at a fraction of the price of their Northern Rhône counterparts.